OARA is the recognized brand of the modern automotive recycling industry in Ontario. By proudly displaying the OARA logo, you’ll share in the prestige and respect our association has garnered with consumers, vehicle repairers and insurers. 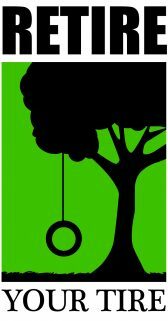 OARA is also the global leader in the development of the “Green Recycled Parts” brand. OARA manages a variety of vehicle recycling programs, such as Car Heaven and Retire Your Ride, and with the auto manufacturers to promote the responsible retirement of end-of-life vehicles. These vehicle recycling programs benefit ALL participants: the Vehicle Donor, the Recycler, OARA, OEMs, and our Charity Partners. We annually process over 20,000 vehicles which go exclusively to ARC Members. Please contact the Office for full details. Direct membership in OARA gives you automatic membership in the Automotive Recyclers of Canada national association. OARA is one of the founding Members of ARC, representing 380 professional auto recyclers across Canada. ARC works with other national associations such as the Automotive Recyclers Association (USA), Japan Automotive Recyclers Association, European Group of Automotive Recycler Associations, Malaysian Automotive Recyclers Association, Motor Vehicle Dismantlers Association of Great Britain, Auto Parts Recyclers Association of Australia, and Auto Recycling Netherlands. ARC oversees the several vehicle retirement programs, the Canadian Auto Recyclers Environmental Code (CAREC), and the Gold Seal business assurance program. OARA has developed an industry-specific insurance programs that includes coverage for Property; Liability, Auto, and Garage Auto. Our insurance program has been in place for over 10 years with an educated insurance carrier and an experienced and knowledgeable insurance broker. Some members have seen healthy rate decreases, while others simply enjoy the ease and convenience of readily available insurance for recyclers. Associate Members Cowan Insurance Group or D.G. Bevan Insurance Brokers can help. OARA manages a Drop Zone with Cardinal Couriers that sees 30-40 Members drop off and pick up parts from fellow Members on a daily basis. Located near the Toronto airport, the Drop Zone helps move products efficiently and safely between Members at very reasonable monthly access rates. Extra fees apply beyond the OARA membership dues. If you are already uploading your inventory information to Car-Part.com your inventory will then also be listed on the OARA website search page free. 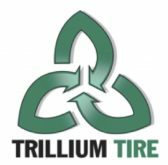 Trillium Tire is another active Associate Member of OARA, working with Members across Ontario with the prompt and efficient hauling of their scrap tires. For more information contact Ryan Politewiczat ‭(905) 401-2705‬ or ryan@trilliumtire.com. Canadian Recyclers Health Benefits, in affiliation with OARA Health Benefits, is a fully pooled association plan for recyclers to participate in providing life, disability, critical illness, health and dental benefits. With companies across Ontario pooled together, this association plan helps to reduce rates and spreads the risk. This in turn allows for more favourable renewals preventing large increases that are often seen on many stand-alone plans. For more information contact Jodi La Plante at 905-523-6681 or agro.recyc@cogeco.net. OARA raises funds throughout the year to provide post-secondary education assistance and apprentice assistance to qualified children of OARA Direct Member employees. For more information go to our Scholarship page. We’re pleased to be a preferred association partner. Save 15% on any Deluxe product using your Member Code 19731. Now is the time to stock up on everything you need while saving: cheques and forms that help you manage your day-to-day business; promotional products and print marketing that help get you noticed; personalized, quality apparel to outfit your team; and much more! To order, call 1.800.461.7572 or shop online at www.deluxe.ca. OARA Members save 11% on the disposal of R12 or contaminated R134A with Fielding Chemical Technologies. The cost is $16 per kg plus shipping to Fielding at 3575 Mavis Road, Mississauga ON L5C 1T7. Contact Clint Oshowy for more information – 905-265-0635 or clinto@fieldchem.com. Wholesale Auto Parts Warehouses is committed to selling only to wholesale accounts – no retail, garages, bodyshops or dealers. They offer special wholesale pricing to all Members and will meet or beat all competitor pricing. They also provide occasional rebates or special pricing. To find out more call Wholesale at 613-524-2400. Impact Auto Auctions waive all registration and renewal fees for OARA Members. They have dedicated loader times for OARA Members, and dedicated customer service staff and address any issues Troy Edwards at 416-843-1281 and Kasia Siodlak at 647-330-6002. Impact also has regional Site Sales that Members can bid on vehicles directly. Copart will also waive all registration and renewal fees, and they will waive their gate fees ($35 per vehicle) for OARA Members when you sign up for their Auto Delivery Service. Stark Auto Sales waives all buyer registration and loading fees on their auction and direct sales purchases. Montana Publishing offers reduced rates on website design and hosting for OARA Members, and you get a free link from OARA’s website. Hold Please Communication provides regular Member-only pricing promotions on some of their most popular on-hold messaging packages. Download their latest offer here or contact Joe Di Giorgio at (519) 972-7171 x21 or Lisa Butera at x26 or joe@holdplease.com. To keep you informed on what’s new in the industry and with the association, OARA publishes regular Member Updates via email and fax. If you want to stay current and know what is happening in your industry, this is the place to be. Our Associate Members benefit by being able to talk directly to recyclers about their products and services. OARA undertakes a wide variety of advertising and public relations on behalf of the industry, association and individual members. Through the Green Recycled Parts branding strategy, OARA links insurers, repairers and the public to OARA Members to demonstrate the benefit of using Green Recycled Parts and selling their vehicles to OARA Members. OARA handles the “top-down” advertising and provides numerous “bottom-up” marketing resources in our Member Only section of the website to give Members the tools to promote their business. Brochures, posters, videos, tabloids, radio jingles, ad mats, logos, directories, media releases, etc are all available to separate OARA Members from the competition. OARA is committed to improving communications between all its members. All OARA members are invited to attend our twice-yearly meetings (March and September) to discuss industry topics. These three-day events include committee meetings, yard tours, educational and training seminars, a full trade show in March, and a variety of social and networking activities. Members can build a strong network of contacts through participation in association committees, meetings, conventions and social events. Knowledge and experiences can be acquired through the exchange of ideas, or new trading relationships established, without interfering with normal competitive relationships. OARA is constantly informing key decision makers about the auto recycling industry and our importance to the overall economy and environment. Effective advocacy is one of the keys to a successful industry future. Working with related automotive and recycling associations further enhances our activities and exposes auto recyclers to a wealth of opportunities. Here are some of the groups that we maintain regular communications with: Automotive Recyclers Association, Auto Recyclers of Canada, Used Car Dealers Association, Collision Industry Action Group, Canada Council of Motor Transport Administrators, OMVIC, IBC Claims Committee. OARA is the voice of the auto recycling industry in Ontario with governments and with the public. Through articles, speaking engagements, advertising, participation in coalitions, and publishing information about the industry, OARA promotes the importance of our sector and its member companies. OARA attempts to create a receptive environment in which members can conduct their business by working with the media, industry and governments. No time to track down the specifics of legislation changes, environment and safety regulations, transportation or communication issues? Call the OARA office and get the information you need, either directly or by referral. Members have access to full time professional staff that provide information and advice on recycling issues.